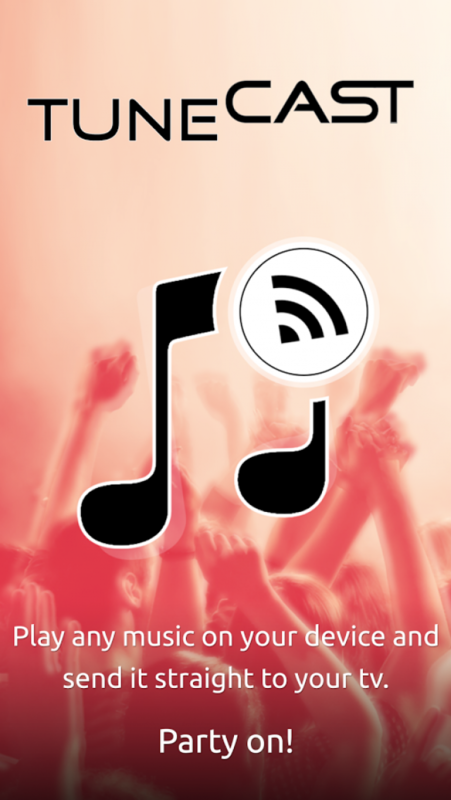 Play any music straight to your TV with TuneCast. TuneCast gives you full control over all your music files and gives you the option to stream them to any Smart TV. No need for any additional hardware, just play the songs to your tv and enjoy them on your home music system instead of your mobile speakers. TuneCast supports just about any type of mp3, midi, wav, flac, raw, aac files and other audio formats. Easily browse songs by genre, album, artist, song name and folder and play on your phone or to your TV. TuneCast uses DLNA/UPnP to discover and initiate/control playback on devices in your home network. Listen to music and songs with this practical lightweight music player for your android device.